The Kindle has been Amazon’s longest running best selling item for 2 years now. And the Kindle now comes with free 3G coverage for one low price of $189. Amazon is paying for the 3G coverage of their Kindle e-reader which now allows Kindle users to read books on both WiFi and 3G completely free of charge – pretty sweet deal. I realize that the Kindle 3G might not be something new from Amazon (I haven’t researched it too much), but it is something I just noticed and thought was pretty cool. 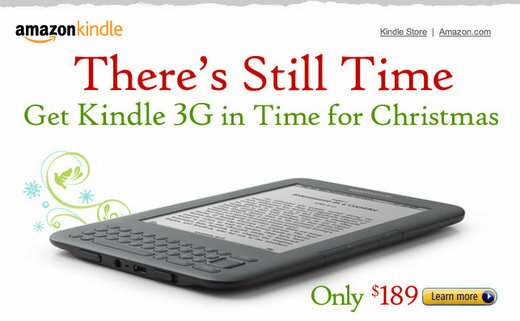 Could Amazon be setting a new trend with the offer of free 3G on the Kindle? What if other mobile phone companies started offering free 3G on their devices? I’m fully convinced that one day soon, we will see both mobile phones and 3G connectivity become 100% free of charge to end users.